Here's the lastest at Once Upon a Sketch! 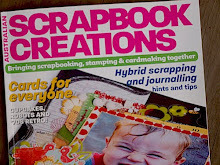 Why do you scrap and when did you start? This is my layout. I've had this pic of Sienna for a while and always wanted to scrap it but never quite found the right reasons. Then when I read this topic I thought it's perfect. Now you might be wondering how come? I could think of heaps of reasons why I scrap, the main reason being 'cause I just have the need. to create. IYKWIM. But it's also to capture all those special moments. The ones that are spontaneously caught in a pic. Oh sure we all have lots of posed pics for birthdays and celebrationS but I love these pics. The ones that are random, and I was going to say caught on film but, that's pretty outdated these days. This is one of those moments. 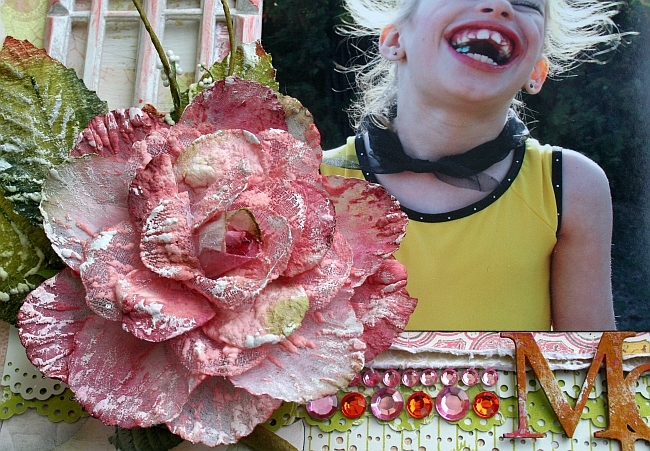 Her nose crinkles, her dimples pop out and Sienna lets out the most infectious joyous laugh. She throws her head back and thoroughly enjoys the moment. A wonderful pic! and the stunning flowers are from the new summer collection at Manor House Designs. Added a touch of gesso. 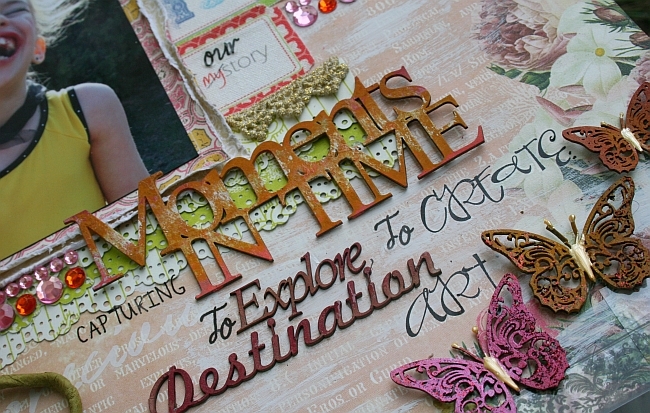 I am telling our story...capturing precious moments in time to explore, to create: Destination Art. We love checking out everyone's takes on Nadia's fabulous sketches. And the prizes are amazing. 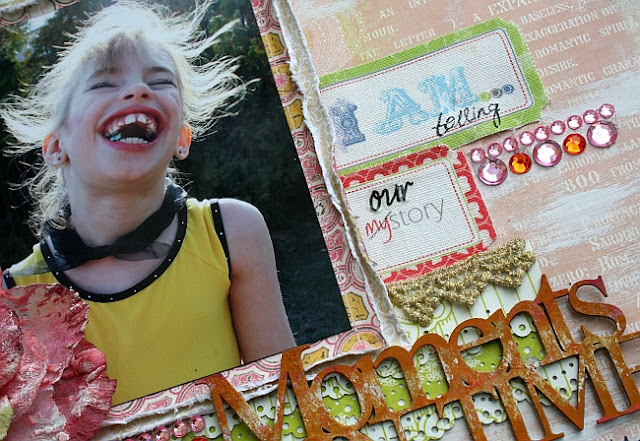 2 SENTENCES on WHEN you started scrapping and WHY? 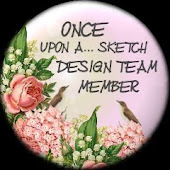 How would you like to be our Guest Designer for December? 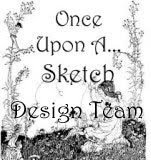 This is the challenge where you have the chance to win a spot on our design team for the whole upcoming month simply by winning this challenge. As well as being our Guest Designer, the first placed winner as chosen by the Design Team will win this prize.. 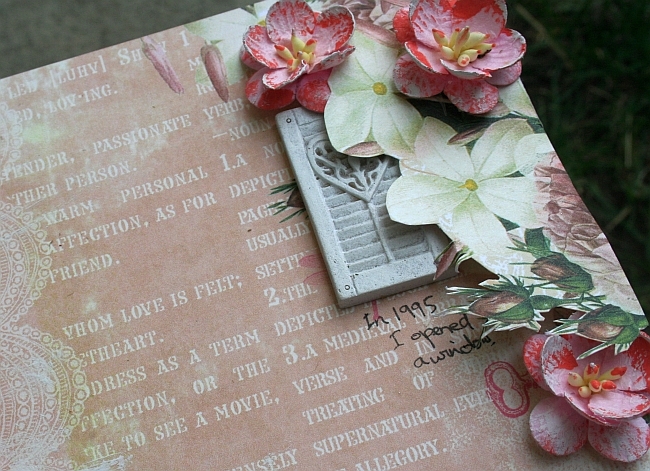 The complete October kit from Swirlydoos kit club. This kit is simply stunning. 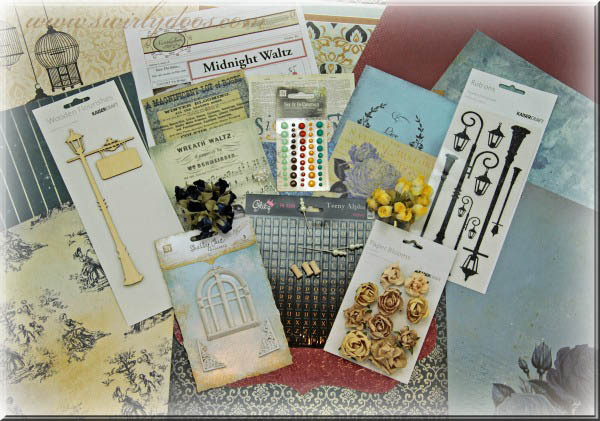 It includes the captivating Vintage Blue line from Glitz Designs, papers, flowers, wood flourishes and rub ons from Kaisercraft, Prima Resin Old Window, Maya Road wooden spools and pearl pins and much much more. This time we also have 2 prizes to give away to RANDOMLY chosen people! 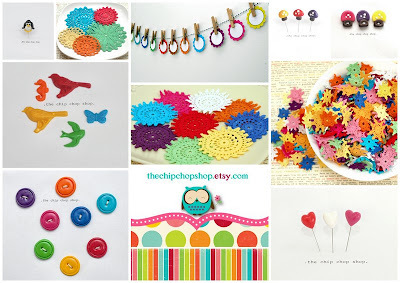 The first prize for one randomly chosen winner will receive a mixture of products from "the chip chop shop" to the value of $25.00 plus postage. Our other randomly drawn winner will receive the gorgeous Webster's Pagespaper collection Ladies and Gents which includes 1 sheet of alphas, 1 die cut paper, 1 vellum paper, and 6 sheets of patterned paper. Now who wouldn't want to win one of these awesome prizes! Your take on the sketch is absolutely fantastic. I love the photo and all the details are simple gorgeus!! Great work my friend!! !I wish a wonderful week. 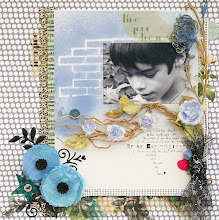 Oh Jeni this is just absolutely beautiful...beautiful in every way! Love it! Jeni, I totally agree with you. That candid shot of Sienna just makes me smile. She's so pretty and so is your beautiful take on the sketch. Truly inspiring!!!!!!!! 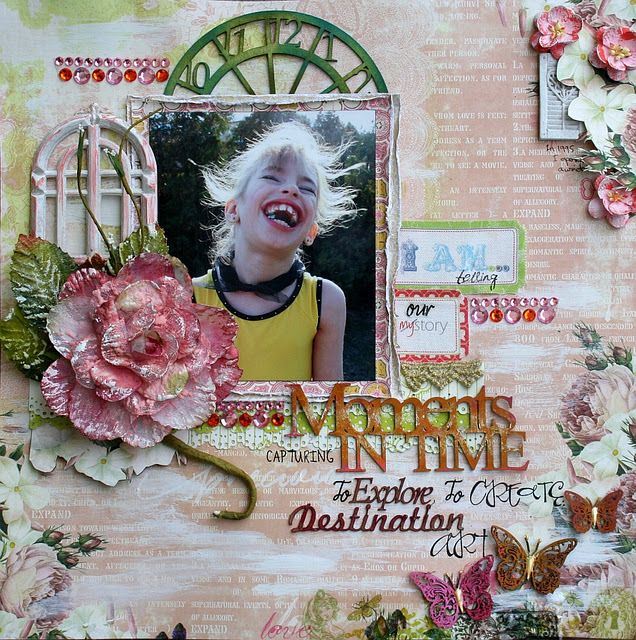 Beautiful layout as always, Jeni! The photo is precious! When I look the photo of your daughter ...do I get a smile on my face ...here I see also beautiful details so gorgeous page!! 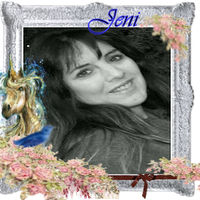 Hi Jeni, thanks for joining my crowd...i am homoured..your work is simply fantastic....and I love the little houses on the beach they are so cute! Now I actually know where one can see some real ones!